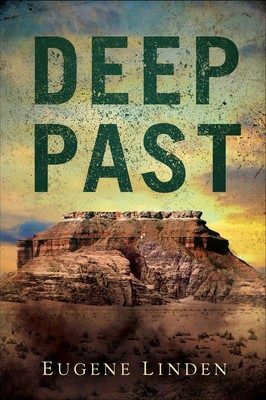 A routine dig in Kazakhstan takes a radical turn for thirty-two-year-old anthropologist Claire Knowland when a stranger turns up at the site with a bizarre find from a remote section of the desolate Kazakh Steppe. Her initial skepticism of this mysterious discovery gives way to a realization that the find will shake the very foundations of our understanding of evolution and intelligence. Corrupt politics of Kazakhstan force Claire to take reckless chances with the discovery. Among the allies she gathers in her fight to save herself and bring the discovery to light is Sergei Anachev, a brilliant but enigmatic Russian geologist who becomes her unlikely protector even as he deals with his own unknown crisis. Ultimately, Claire finds herself fighting not just for the discovery and her academic reputation, but for her very life as great power conflict engulfs the unstable region and an unscrupulous oligarch attempts to take advantage of the chaos. Drawing on Eugene Linden’s celebrated non-fiction investigations into what makes humans different from other species, this international thriller mixes fact and the fantastical, the realities of academic politics, and high stakes geopolitics—engaging the reader every step of the way.